Burgu (Echinochloa stagnina (Retz.) P. Beauv.) is a perennial, or sometimes annual, semi-aquatic tropical grass. It reaches up to 10 m in length when floating, most of the plant being under water. It has stout floating rhizomes. Culms are decumbent, 2.5 cm in diameter, rooting and branching at the lower nodes. Leaves are 10-60 cm long and blade-shaped. Racemic inflorescences (6-35 cm long) are the only part of the plant above the water surface. Burgu is highly variable morphologically. It often occurs in dense pure stands but can also be found with other Echinochloa species such as Echinochloa pyramidalis and Echinochloa colona. 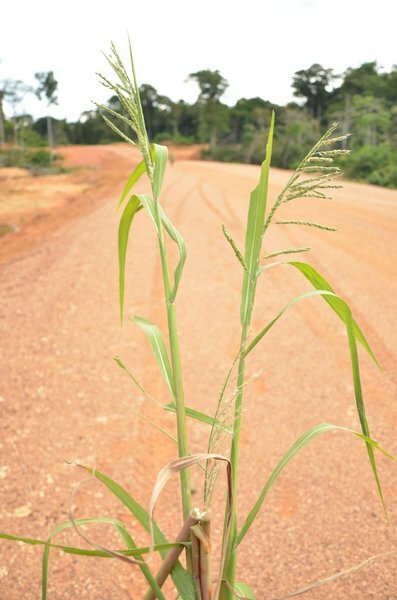 Burgu can be used for food: the sweet culms are sun-dried to extract sugar in Mali and the grains are consumed by people in periods of scarcity. However, burgu is mainly used as forage and burgu pastures on floodplains provide dry-season fodder for cattle (NRC, 1996; Brink, 2006; Quattrocchi, 2006). Burgu is widespread in tropical Africa and Asia where it has probably been introduced (Brink, 2006). It grows along rivers and in lakes and lagoons in water up to 3-10 m deep. It may be found up to an altitude of 2000 m in Tanzania. In the Central Delta of Niger, Echinochloa stagnina used to cover more than 250000 ha but has now been replaced by rice fields (NRC, 1996). Burgu grows best in wetlands in flooded conditions, in well-prepared clay soils of high lime content. Echinochloa stagnina is tolerant of nonsaline sodic soils often found on river banks (Marlet et al., 1998). It is somewhat tolerant of droughts. However severe droughts between 1968 and 1985 destroyed many "bourgoutières" in the Inner Niger Delta. In the late 1990s, re-introduction programs helped to establish 4000 ha of Echinochloa stagnina pastures in this region (NRC, 1996). Burgu productivity (15 to 30 t MS/ha) is 10-fold that of other grasses growing in the same Sahelian zones, and this grass is of outmost importance for maintenance of cattle in these areas during the dry season (Dicko et al., 2003). In the semi-aquatic grazing land of the lakeland zone of Mali, the biomass produced by Echinochloa stagnina consists of 71.5% submerged stems, 18% emergent stems, 9.5% leaves and 1% inflorescences. The herbage above the water level (28% of the total) has 34% leaves. The crop is initially harvested using canoes in the wet season, or by mowing and grazing in the land dry season. Overgrazing has become a problem because many of the semi-aquatic areas are now used for cultivation of floating rice, and re-establishment techniques are needed (François et al., 1989). Due to its very quick growth in water, Echinochloa stagnina can survive in flooded bottomlands that remain waterlogged or under water for months (and up to a depth of 3-10 m). At the end of the rainy season and after culm harvesting, burgu re-seeds quickly and provides new pastures for livestock (NRC, 1996). Burgu is often considered an important weed in rice fields in tropical Africa, in the Indian subcontinent and in Thailand (Brink, 2006). However, it is also cultivated as a crop in India where it competes well with weeds (Skerman et al., 1990). Burgu plays the role of substrate for heterotrophic bacteria that remove water pollutants such as nitrates, ammonium and phosphates in irrigation and drainage canal systems (Haroon et al., 2009). 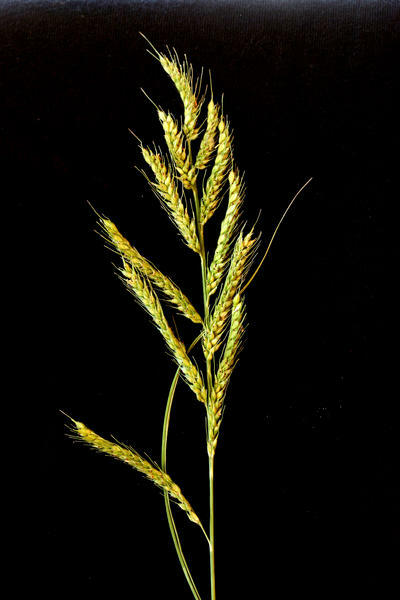 Echinochloa stagnina may also be used for reclamation of alkaline and sodic soils (Helalia et al., 1992). Burgu is important for fish diversity as it provides good breeding and feeding habitats (Brown et al., 2010). In Zambia, cattle returning from harsh forest conditions to relatively nutritious plains and fed on burgu, among other grasses, had scouring problems for up to 3 to 4 months (Skerman et al., 1990). Burgu is very productive and highly palatable (NRC, 1996; Göhl, 1982). The long, trailing leafy stems of burgu, which float on the water surface, have a high sugar content: if dried, they make coarse but still palatable hay. When the water recedes, the stems root at the nodes and produce excellent regrowth for grazing during the dry season. Cattle are first allowed to graze Echinochloa stagnina stands since they can walk in deeper water than sheep (Skerman et al., 1990). Nutritional values for different periods and forage types have been estimated as follows (François et al., 1989; Bonis Charancle, 1994). Because of the low digestible protein content and the low DM digestibility (55%), it is estimated that the stocking rate during the six month period of utilisation should not exceed five local cattle units per ha (Bonis Charancle, 1994). In Nigeria, burgu mats floating on the Kainji lake serve as fodder and spawning grounds for different classes of economically important fish: Cichlidae, Osteoglossidae and Centropomidae (Balogun et al., 1995). Brown, A. ; Mockrin, M., 2010. Inner Niger Delta. Freshwater Ecoregions of the World. The Nature Conservancy and World Wildlife Fund, Inc.